The Russo brothers, Anthony and Joe, are known for their comedies on both television and the big screen (You, Me And Dupree and Arrested Development are their most famous works). So it is indeed surprising to know that not only have they directed Captain America: The Winter Soldier, but that they have also signed up for its sequel. Sceptical? Do not be, trust us, because these brothers have exhibited a depth for characters that nobody knew they were capable of. 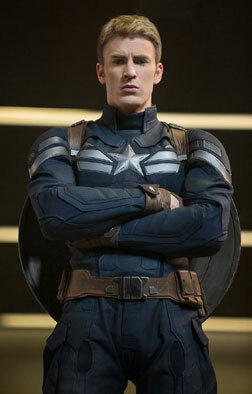 Steve Rogers a.k.a. Captain America (Chris Evans) lives in Washington now. He has done his bit to save humanity as much as possible, and is just settling down to a life in the modern world. He works for S.H.I.E.L.D. (Strategic Homeland Intervention, Enforcement, and Logistics Division) still, but has not really managed to make new friends in this millennium. On a standard mission to rescue hostages, including a S.H.I.E.L.D. agent, from a ship, Steve, who is leading the team, discovers that one of his team members, Natasha Romanoff a.k.a. The Black Widow (Scarlett Johansson), is on her own separate mission to recover the data from the ship's system. Steve later confronts Nick Fury (Samuel L. Jackson), the Director of S.H.I.E.L.D., about being kept in the dark, which is when the latter tells him about Project Insight, which will eliminate potential threats to make the world a better place. Steve is not comfortable with the concept of killing people who may or may not be dangerous. Soon after this, Nick Fury is attacked while he is driving. Badly wounded, he sneaks into Steve's house, and hands over to him the USB drive that Natasha had copied the ship's data into. Nick tells Steve to be careful whom he trusts, before he is shot by the Winter Soldier. When Nick dies in hospital, Steve is summoned to the office of Alexander Pierce (Robert Redford), the senior most official of S.H.I.E.L.D. Circumstances then make Steve a fugitive, and the only person he can trust is Natasha, and a former Pararescue veteran Sam Wilson a.k.a. The Falcon (Anthony Mackie). As the writers put it, "If the first movie was about the U S Army, then this is a movie about S.H.I.E.L.D... you will learn about S.H.I.E.L.D. You will learn about where it came from and where it is going and some of the cool things they have." Which is exactly what the movie is all about - a lesson in the history of espionage and other tactics, to which Steve Rogers is somehow connected. The film is also about the exploration of Steve's character, and his gradual acceptance of life in the present, and his one motto - to serve the country. Somehow, though, his patriotism is not OTT, and neither are his actions. The screenplay delves into his past very cleverly by showcasing Captain America's achievements and history in the Smithsonian Museum. While Steve yearns for a past that he cannot access, he also knows that the future depends on his actions. What he does not expect, however, is his torrid past to catch up with him. At more than two hours in length, the screenplay is paced evenly. It does not meander from the main plot - to stop the launch of Project Insight - and neither does it concentrate too much on romantic and nostalgic moments. The humour is self-deprecatory, mostly, and everybody goes about their business in a very matter-of-fact way. And in case you have forgotten the first film, this sequel gives you enough references to the events of the past to help you remember the story and to connect the dots. The introduction of a new, inferior super being is watered down a bit (no grand entry or music) and the insertion of the villain, although dramatic, does not follow the usual Hollywood norm of making him larger than life. The dialogues give you clues to the characters' history, in a natural, conversational manner. Nothing seems out of place, and even the action sequences are not dragged on forever. The beauty of the script lies in the fact that everything is predictable, even the twist, but that does not stop you from gasping and cheering at different plot points. The only disappointment in this otherwise tight screenplay is the acting. Every actor plays down his role, and the acts of heroism are subdued. Chris Evans looks sad, mostly, but that has to do with his character's acceptance of his situation. Scarlett Johansson is not as dynamic as she was in the Avengers movie, but she kicks and thrashes the bad guys with enough style to make up for that. Cobie Smulders has a larger role to play this time round, almost as much as Samuel L. Jackson, who is his usual dark self. Robert Redford could have done with a much more vibrant role, and is almost wasted here. Anthony Mackie is a lackey, but maybe future movies have more for him to do. The introduction of Emily VanCamp (of Revenge fame) is not so subtle, and she will definitely be a part of Steve Rogers' life in the upcoming instalments of the Avengers series. The special effects in the film are minimal, just as the directors wanted. Some of the elements are obvious, of course, but otherwise, it is more live action than animation. The production design is restrained, and the costumes are very well done. The camera work, along with the VFX, makes the movie a visual treat. The music is patriotic and heroic, but without the frills that most American movies adopt to prove a point. The editing is crisp, and near perfect. The end credits are interestingly played out, and they are interrupted by two more sequences that tell you what to expect from the sequel to the franchise (so you have to sit through to the end). While Captain America: The Winter Soldier is more about Captain America, the next movie may be all about the rest of the Avengers, since the villains introduced in the end credits are not exclusive to the Captain America comics. Although a third Captain America movie has been announced, it is more likely that we will see more of Steve Rogers and Iron Man and the rest together before the makers return to the story of the man from the 1940s. If you are a graphic novel buff who believes in superheroes, this is definitely one movie you cannot afford to miss. And for those who missed the other films before this one, do not fret. You can always begin anew, and then hire DVDs to learn more about the back story. 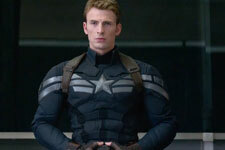 Be the first to comment on Captain America: The Winter Soldier (Hindi)! Just use the simple form below. fullhyd.com has 700,000+ monthly visits. Tell Hyderabad what you feel about Captain America: The Winter Soldier (Hindi)!